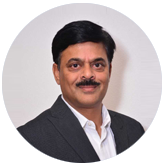 Raju Vasa is the Senior Vice president of Ancla Consultancy services. Ancla a global life science company for Pharmaceutical & Biotechnology, and our mission is to help clients all over the globe with Synergy, Quality & Innovation. In his role as a SVP , Raju sets the strategic direction, promotes Ancla values and Client centric by providing value added services and focusing on ensuring the company's sustainable growth. He also serves as a Board member of Ancla. He has a passion about travelling. Dr. Krishna is a Pharmaceutical Physician with more than 15 years of Clinical & Industry experience and the Head of Functional services in Ancla. He is responsible for ensuring the strategic and long term functional development of Ancla. Dr. Krishna was previously associated with global Pharma companies in various leadership roles including Global Oncology Head for Signal Evaluation & Management, Biostatistician , Safety Physician. In all these roles Dr. Krishna has established and developed global functional team supporting any array of Clinical and PV services quality & process improvements. Dr. Krishna is a invited speaker in national & international conferences. 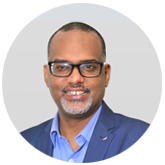 He is passionate of leveraging technology and machine learning techniques in all functional domains in the pharmaceutical and biotech industry. He is self-taught in statistical and programming techniques. He is actively involved in promoting Pharmacovigilance awareness in all discipline.